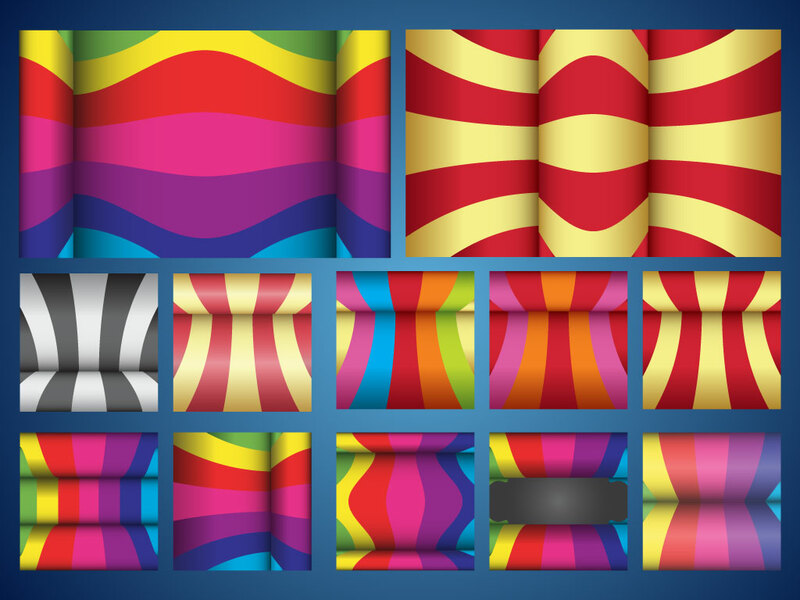 This set of colorful background patterns is dynamic and eye catching. Rich colors, curves, stripes and waves will make your designs stand out. Download these psychedelic patterns as AI and PDF for your projects. Tags: 3D, Background, Colorful;L, Curves, Pattern, Psychedelic, Waves.